A written document is needed to transfer title in real property from one person to another. The attorneys at Davison Legal Associates, P.C. can help you determine which type of deed is appropriate for your situation. Our attorneys will prepare your deed and assist you with filing it at the Register of Deeds to ensure that the property transfer is complete. 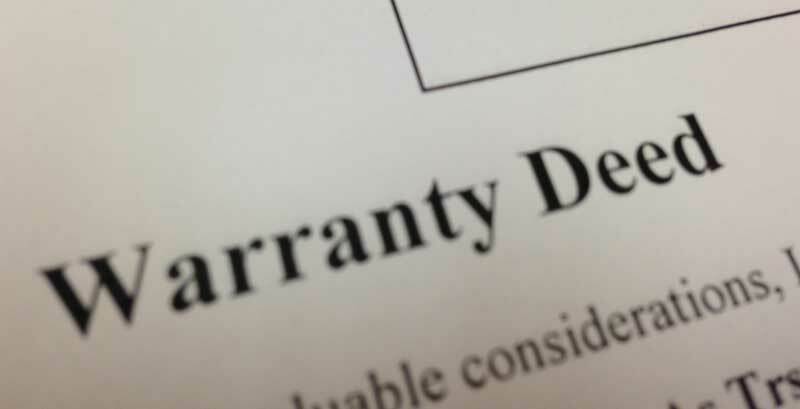 A warranty deed is a type of deed where the grantor (seller) guarantees that he or she holds clear title to a piece of real estate and has a right to sell it to the grantee (buyer). This is in contrast to a quitclaim deed, where the seller does not guarantee that he or she holds title to a piece of real estate. A general warranty deed protects the grantee against title defects arising at any point in time, extending back to the property's origins. Furthermore, warranty deeds state that if a claim or encumbrance does becomes known, the seller will assume all responsibility and financial liability for settling the claim or encumbrance. Would you like to speak to one of our attorneys? Just submit your contact details and we’ll be in touch shortly. You can also call us directly if you prefer. Founded by Joseph J. Sefa in 1991, today the Michigan based law firm is successfully fighting for clients in Genesee County and throughout the state of Michigan.